Ken was excited to show us a large population of Virginia Bluebells which includes the white-flowered form as well as the usual blue. Other spring flowers abound at this site, including Claytonia virginica and Viola striata. Wow, tons of bluebells! The natural area at this museum is small, and infested with many invasive species. 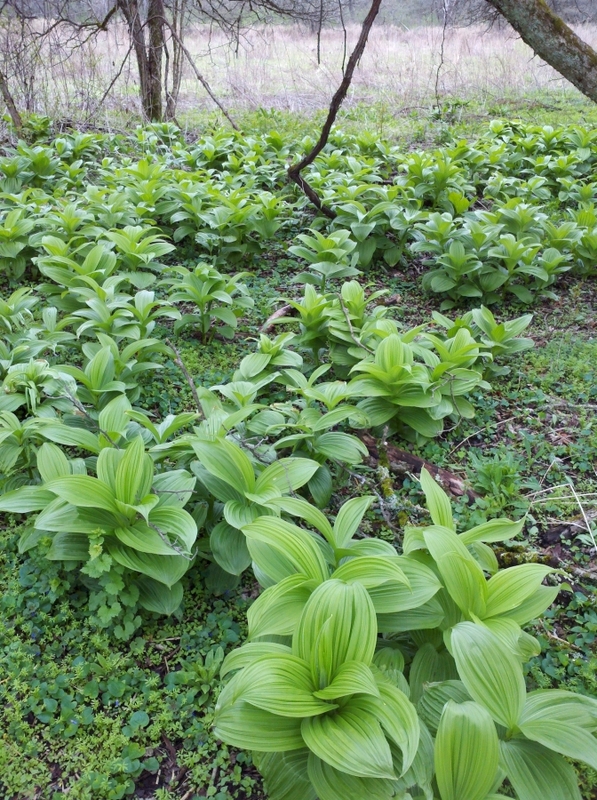 But at this time of year the native species are easily seen. 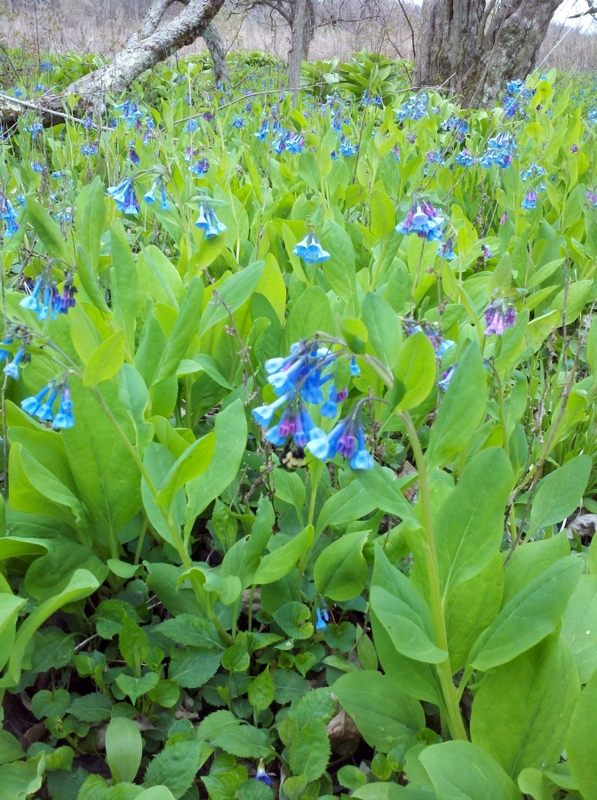 The Virginia bluebells were extremely dense, as was the false Hellebore, indicative of a nice floodplain. Below is a list of species seen the day after the FLNPS walk by S. Lorbeer and R. Parker.